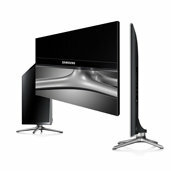 The new Samsung Smart Ultra-Slim TV F6300 lets you conveniently navigate your entire entertainment world on a central menu with five simple panels: On TV, On-Demand, your photos and music, social media and Smart TV apps. This allows you to effortlessly connect to the content you love, without having to aimlessly channel surf. Enjoy a fluid browsing experience, switch between content, stream and multitask faster and easier than ever before. 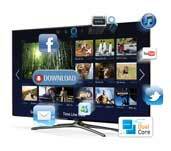 Want to share videos from your phone to your TV? Or use your phone to watch what's on TV? With the F6300, you can enjoy a seamless viewing experience across all your smart devices, from anywhere, indoors and out. 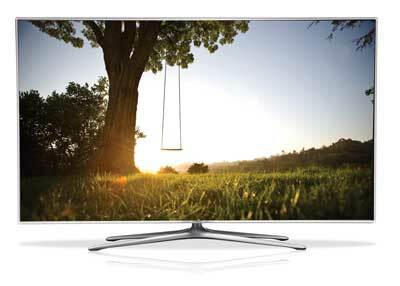 Discover how the F6300 can quickly cut through the clutter to get you to the things you love to watch. 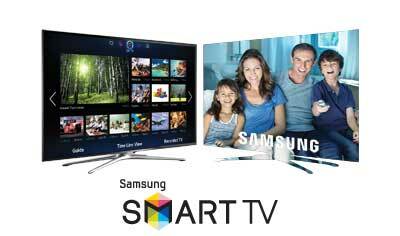 The Samsung Smart TV finds the movies and TV shows you like - and more. 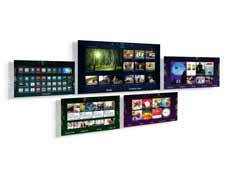 Navigate within the 5 Smart Hub content panels. Easily discover movies, shows, and social posts with less searching and more watching. 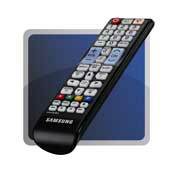 Allows your TV to wirelessly access and stream content from any compatible device, like a PC or mobile device. Share movies, photos, and music all through a single device: your TV. And with cloud technology, you can access and even share content away from home. S-Recommendation hub to find new things to watch. Our new interface organizes your entertainment and content into 5 convenient panels: On TV, Movies and TV Shows, Social, Apps, and a panel for your Photos, Videos and Music. Dual Core processing speeds allow you to perform multiple tasks at the same time. It also enables fast web browsing while playing apps or TV programs that you've recently opened through the Recent History feature. 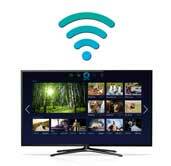 Enhance the connectivity capabilities of your TV with Built-in WiFi. All the benefits of full web browsing, right on your TV. From social sites like Facebook and Twitter to news, weather, entertainment, blogs and more. 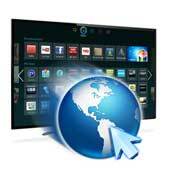 Discover even more content possibilities with your Smart TV. processor speed and backlight technology. Designed specifically for your Samsung TV, the Quad stand provides stylish support. 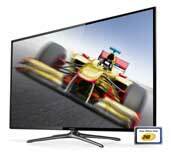 120Hz Refresh Rate: Better for general viewing and good for video games, action movies, and sports. © 2019 - DealsPortal.net All Rights Reserved.